January in Australia is summer, and it is then we have our summer holidays. In Adelaide where I live it is also the hottest time of the year, sometimes reaching temperatures of 45 Degrees Centigrade (113F) with clear blue skies and weeks without rain. 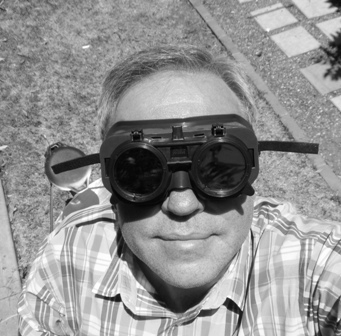 Ideal weather for solar experiments with the kids, as they tend to become a little crazy staying inside out of the sun. 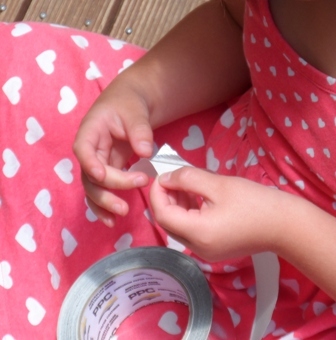 On 5th January 2013 I was trying to clean my workshop when I came across a big roll of self-adhesive foil tape and just at the same time my daughter Eva (4yo) decided she wanted me to do something with her and it was then I had an idea. 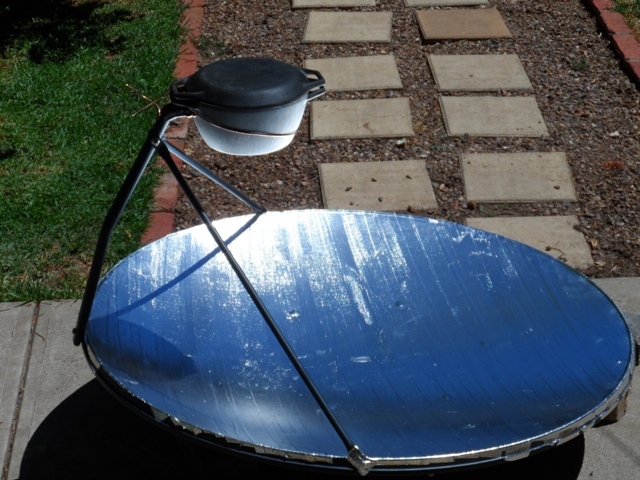 "We can make a solar cooker with this" I said, "can we cook sausages on it?" said Eva, "yes maybe lets see." 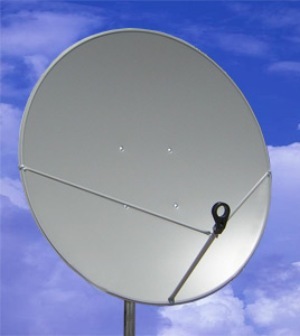 I also got out an old off-set parabolic satellite dish I'd been keeping in the shed and so Eva set about peeling the backing of the foil tape while I stuck it on the dish reflector. 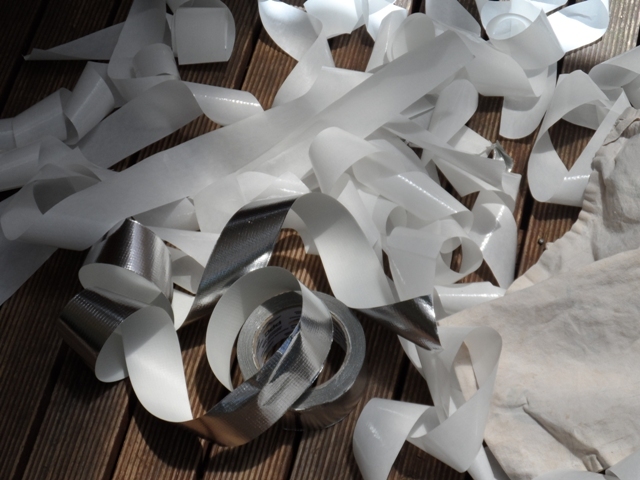 After about 30 minutes we had a big mess and had covered the whole reflector with foil tape. I also soon learned very quickly that you must wear protective eye covering if you want to keep you're eyesight. 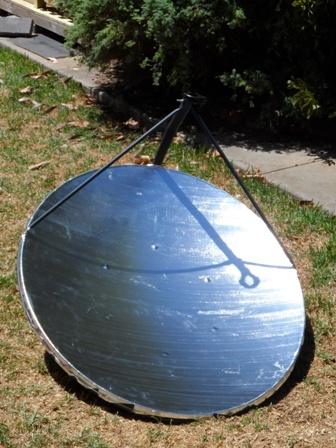 Gas welding goggles I found are ideal to align the dish, as even a brief flash from the reflector can cause you to see spots for some minutes after. I sat a cast-iron pot in a loop of wire tied to where the LNA is usually mounted and I adjusted the focal point balancing on a base of bricks. The temperature measured inside the pot was averaging between 165 to 220C (329 to 428F) at 11:30am, (this was difficult to measure without burning my fingers). Ok so we didn't cook sausages, as Eva's mother loves baked potatoes, it was an easy first try not requiring turning. 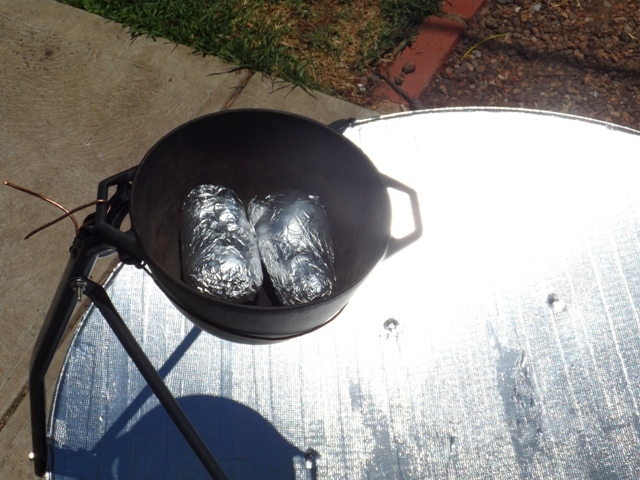 I pre-heated the pot first by pointing solar reflector on it for about 30 minutes, wrapping some potatoes in foil and popped them into the pot with the lid on. 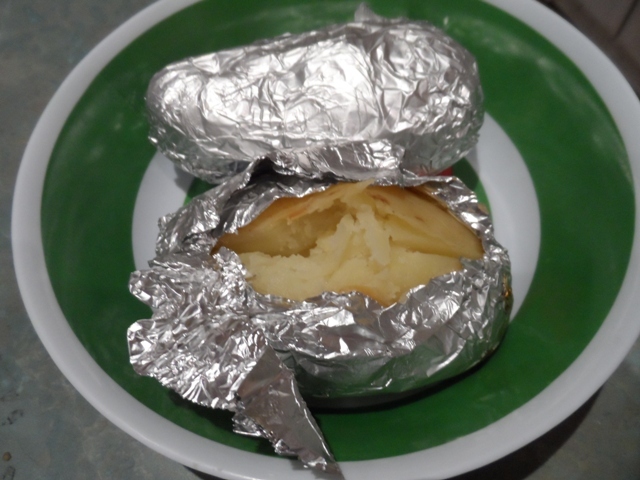 The reflector required reposition every 15 minutes for 1.5 hours and voilà baked potatoes! Both potatoes where soft and cooked through, so I reckon 1 hour would have easily done the job. While I was testing, I also tried boiling water, this took about an easy 30 minutes.